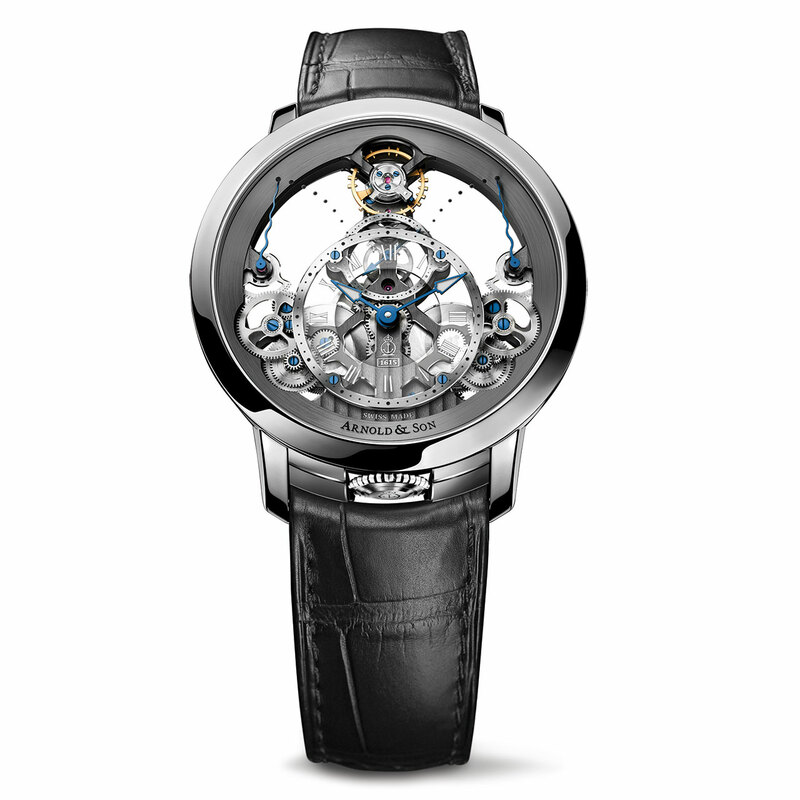 Seemingly suspended between two sapphire crystals, the A&S1615 calibre at the heart of this fascinating watch borrows its pyramid structure from the historic regulator clocks made by John and Roger Arnold. 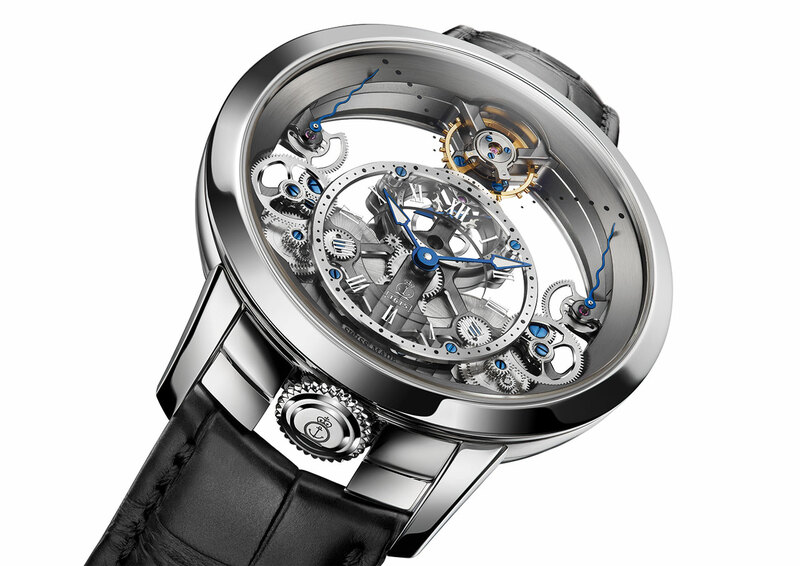 Like the watch's indications, the different components of this vertical, linear movement are set out on three levels, producing an astonishing three-dimensional effect in a skeletonised composition that is inspired by nineteenth-century English table clocks. A true feat of mechanics, devised and built by Arnold & Son, this movement has a separate power-reserve indicator for each of the two barrels.